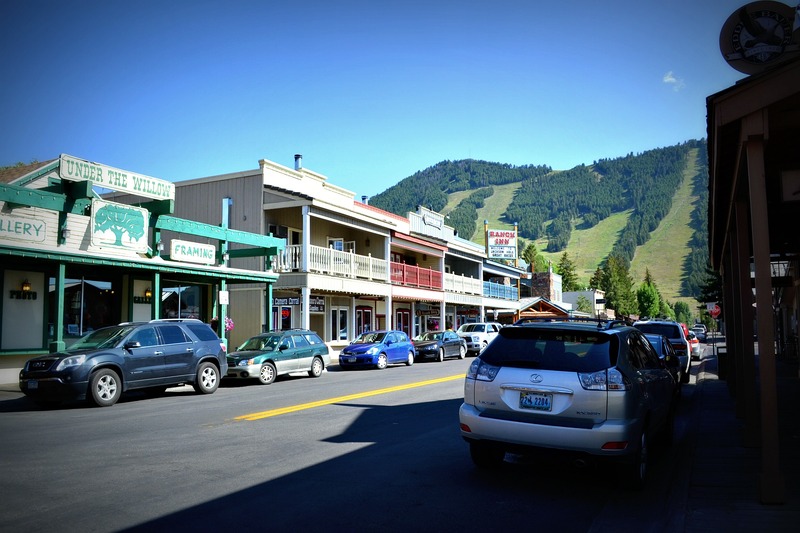 The town of Jackson Hole is a magnificent western style town and is the largest gateway community to Grand Teton and Yellowstone National Parks. This small town has a unique history that was shaped by the original settlers to the area in the past 120 years. This spectacular town is nestled in between several large mountain ranges that merge together. At a base elevation of a little over 6000 feet, the town of Jackson enjoys a dry and somewhat typical climate enjoyed at those elevations in the West. The town has a population that varies at around 6-8,000 people depending on the season. During the summer months, the town is host to some 3 million visitors that come through the National Parks for sightseeing and recreation. The town has a cute town square with elk antler arches on each corner of the square. The National Elk Refuge to the north borders the town of Jackson. People wanting to enjoy being close to town and overlooking the Elk Refuge stay at the Elk Refuge Inn. The eastern part of town features Snow King Resort. The Resort is our smaller local resort mountain that has skiing in the winter and fun activities in the summer. In recent years the resort has developed available moderate, superior and luxury condominiums used as Jackson Hole Rental Condos for property real estate investments. There are western style buildings around the town square featuring shops, restaurants, saloons, and theatres that provide many attractions to visitors. The town of Jackson has a shootout on the square each evening and a stagecoach ride around the town. The boardwalks around the downtown area have been maintained to preserve western character. These unique lifestyles allow a visitor to get a true sense of what an old Western town in the Rockies was like. 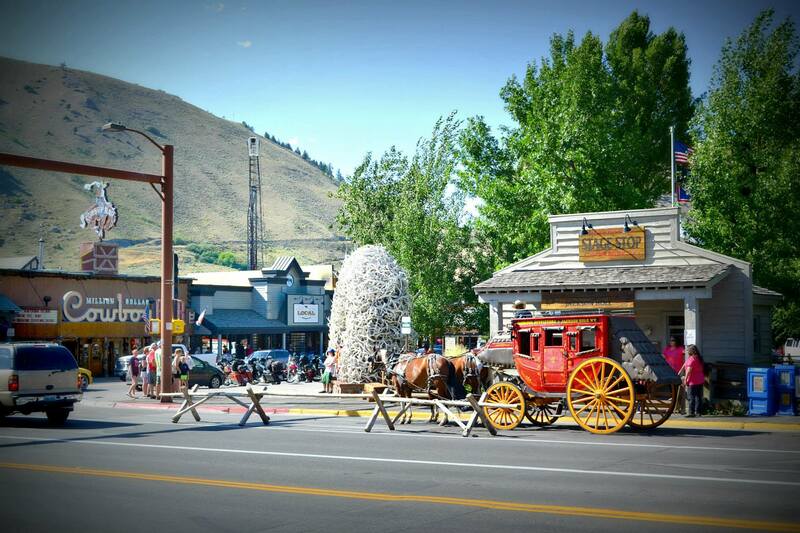 There are many activity vendors downtown that feature Whitewater Rafting, Jackson Hole fishing and summer rodeo events. The town also houses many older homes and subdivisions scattered about where many locals reside. The East Region of Jackson and part of the North Jackson Region have a mixed development use to allow for both residential and commercial use in many areas. The lodging overlay, for the most part, is within a 5- block area of the town of Jackson. There are many Jackson Hole hotels and motels around the downtown area and are open in all seasons. The town has a very limited supply of rental homes close to and around the downtown area. A very popular choice for Jackson Hole Lodging close to town is the Miller Park Lodge. This quaint Lodge has newly remodeled rooms with all the bells and whistles.